Bhagavad Gita Art Gallery--Plate 3: Krishna and Arjuna in the midst of the two armies..
Krishna and Arjuna in the midst of the two armies. PREVIOUS Bhagavad-gita 1.3 A view of the military phalanx on the Battlefield of Kuruksetra. 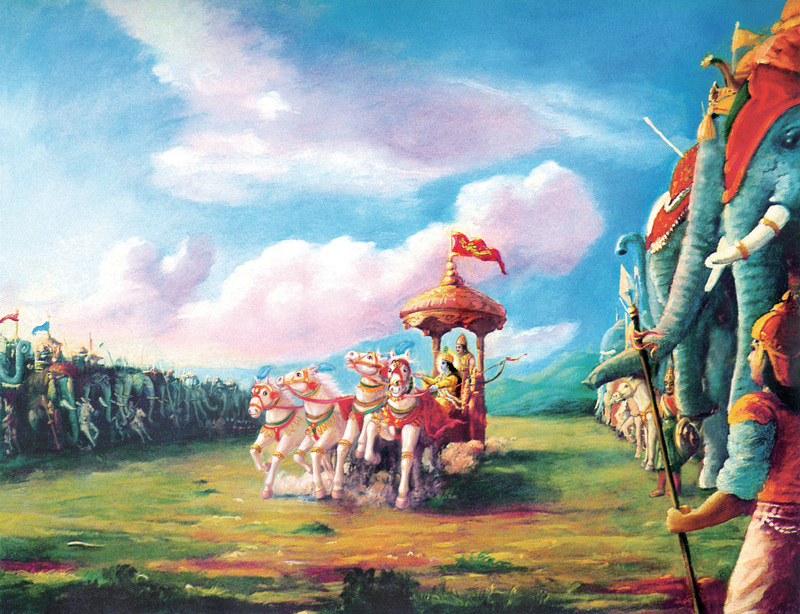 The chariot of Krishna and Arjuna is in the midst of the two armies.